I know you represent many clients with much larger homes, but you’ve always been highly attentive and responsive to our needs, the consummate professionals throughout. Of course, the results speak for themselves. When she was in college, Gail Roberts was the coxswain on the crew team, so she knows what it takes to get people to work together and find success. Over the last 30 years, she has used those skills to build one of the most effective teams in real estate, driven to provide the best service to her clients. Gail has enjoyed numerous honors during her career, including being the No. 1-ranked Coldwell Banker sales associate in New England as well as one of Coldwell Banker’s Top 10 agents worldwide. She also has been named one of America’s Top 50 real estate agents multiple years by The Wall Street Journal and received Coldwell Banker’s Society of Excellence Award, which is earned by less than one percent of agents around the globe. Gail’s community efforts extend beyond real estate. She serves on the boards of the New England chapter of the U.S. Fund for UNICEF, Mount Auburn Hospital, Huntington Theatre Company, the Guidance Center, and The Cambridge Community Foundation. She takes the business of real estate seriously, focusing on strategically positioning and promoting properties to attract the most attention and customizing her proactive outreach approach for each client. But she also likes to have fun and stay active, whether traveling, biking, hiking or dancing. She enjoys entertaining and possesses an outgoing personality and sharp wit. 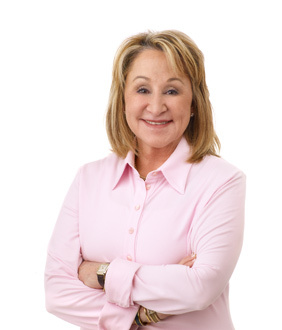 In the end, Gail and her team strive to build community “one home at a time.” She often hosts social gatherings for her clients so they can get to know other families and learn more about local organizations and events.